Red Mountain is Washington’s smallest and undeniably most important wine-growing region, this small ridge on the eastern edge of the Yakima Valley. WASHINGTON’S SMALLEST and most important wine-growing region undeniably is Red Mountain, a small ridge on the eastern edge of the Yakima Valley. This little 4,040-acre bench saw its first grapes go into the ground in 1975. Today, more than a third of Red Mountain is covered in vineyards, and it is far and away the most expensive ground in Washington wine country, often attracting prices of $50,000 per undeveloped acre. Red Mountain is red wine country — more than 90 percent of the vines are red varieties — with cabernet sauvignon the key grape. Everyone wants a piece of Red Mountain these days. Many of Washington’s most important wineries are investing in Red Mountain land or paying top dollar for its grapes. Even California has taken note of its spectacular abilities, as evidenced by the arrival of Napa Valley’s Duckhorn Vineyards. This winter, The Seattle Times readers tasting panel explored cabernet sauvignon from Red Mountain. About 30 of us met at beautiful DeLille Cellars in Woodinville to blind taste several examples from multiple vintages. DeLille recognized Red Mountain as vitally important during its first vintage in 1992 and has since planted Grand Ciel Vineyard. As Washington continues to gain prominence on the world wine stage, Red Mountain is at its heart. 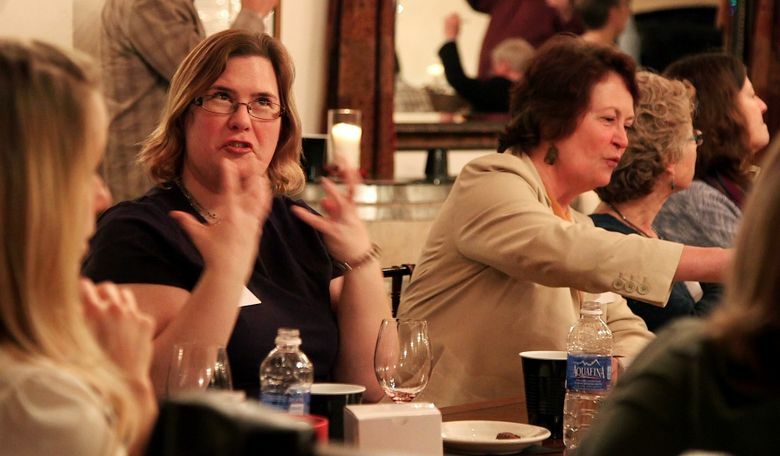 Here are the six wines The Seattle Times readers panel tasted under blind conditions. These are listed in the order they were tasted and include the tasting panel’s comments. Fidelitas Wines 2011 Ciel du Cheval Vineyard cabernet sauvignon, Red Mountain, $60: This classic cab from winemaker Charlie Hoppes unveils aromas and flavors of huckleberry, purple plum and complex minerality reminiscent of rocky soil. Forsyth Brio 2007 Kiona Vineyard cabernet sauvignon, Red Mountain, $60: Longtime Washington winemaker David Forsyth (Hogue, Mercer and now Zirkle) began producing this side project in 2006, and all of his releases have been spectacular. This is a dark, intense wine with broad shoulders. Corvus Cellars 2010 cabernet sauvignon, Red Mountain, $45: Corvus is a Walla Walla winery that owns a vineyard on Red Mountain. This is a juicy red wine with dark fruit, dark chocolate and complex spices. It is still quite youthful. DeLille Cellars 2012 Four Flags cabernet sauvignon, Red Mountain, $67: This is a worthy successor to my Seattle Times wine of the year. It’s rich, brash and robust with beautiful balance. One panel member likened it to Seahawks running back Marshawn Lynch: intense but quiet. Canvasback 2012 cabernet sauvignon, Red Mountain, $40: The first wine from Napa Valley producer Duckhorn goes in a different — and delicious — direction, showing off both rich fruit and complex moist earthiness and new leather. It’s an intense wine that should age gracefully. Palencia Wine Co. 2010 cabernet sauvignon, Red Mountain, $30: Young Victor Palencia’s new Walla Walla winery is off to a superb start, and this cab is smooth, supple and fruit-driven with underlying minerality. Andy Perdue is a wine author, journalist and international judge. Learn more about wine at . Katie G. Cotterill is a Seattle Times videographer.